Thailand basketball will soon have another team to watch out for: the Bangkok Storm. 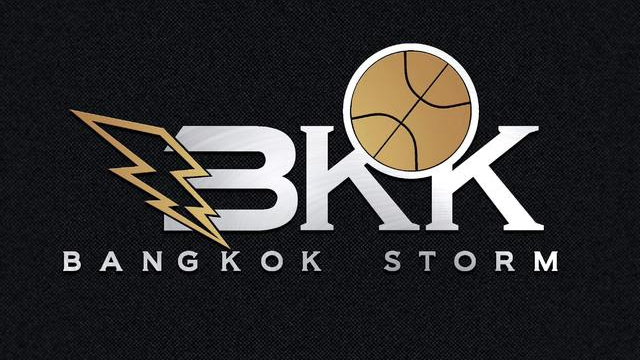 After some social media brewing, mostly directed to the team’s Instagram page (@bangkok_storm), there has finally been some official information released about the new professional basketball team in Thailand, the Bangkok Storm. As per the Press Release issued by the team, the Bangkok Storm are a newly established professional basketball team that will be based in Bangkok, Thailand. They aim to be not only one of the best professional sports organization in Thailand, but in the entire Southeast Asia region as well. With their targets set high, the team looks to jumpstart their franchise with a bang. They will not be immediately participating in local Thai professional leagues, but will instead be aiming to compete in more regional competitions in Southeast Asia as well as other international competitions around the world. Spearheading the Storm will be Kevin Yurkus, whom the team had recently hired as the President and General Manager. Yurkus is a widely known and experienced basketball professional in the region, specifically in Thailand and Vietnam. He was named two-time Head Coach of the Year in the Vietnam Basketball Association (VBA) with the Cantho Catfish and secured the club’s first and only VBA title this past 2018 season. Yurkus also has experience coaching in Thailand for the Madgoat Basketball Club in 2016-2017. He was a large part of creating Vietnam’s first ever National Team program. The team’s immediate plans are to apply for entry in the ASEAN Basketball League (ABL) in 2019-2020. This is great news! I hope another Philippine-based club will join next season. Calling on Mighty Sports.